Come experience the grandeur and peace of Temple Hill Resort. Our 20-acre park is set against the eastern edge of the Manti-La Sal National Forest, whereas our western edge borders the Manti LDS Temple, and right in our park is a portion of the original pioneer quarry for the temple stone, making the entire area a place for exploration, tranquility, and discovery. For additional information, check out our extensive list of activities that are inside the park or close by. You’ll find there is so much to do you will need to extend your trip for a day or two. Skyline Recreation is located in Sterling, in the heart of Utah. Just 5 miles from Manti and 120 miles south of Salt Lake City. Conveniently located just West of Palisades State Park and at the base of the Manti-La Sal National Forest. 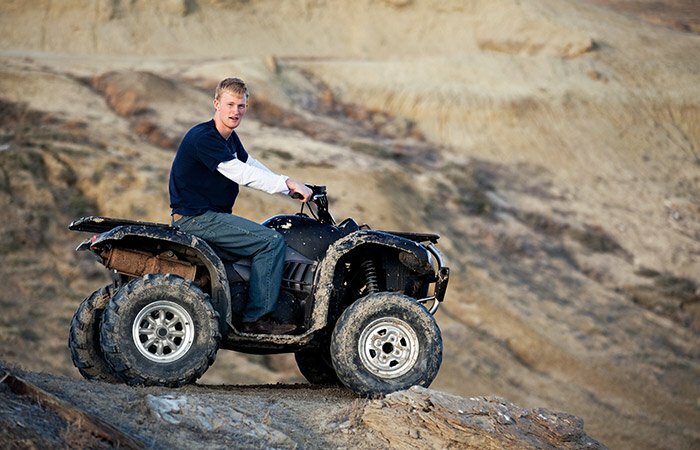 They have a variety of ATV’s and Side by Side’s to rent, including the Honda Rancher 420 4×4 ES, Yamaha Rhinos 4×4 and Kawasaki Teryx 4 4×4. Their machines feature automatic transmissions or electric shift and are all 4×4 making it easy and fun for everyone to operate. 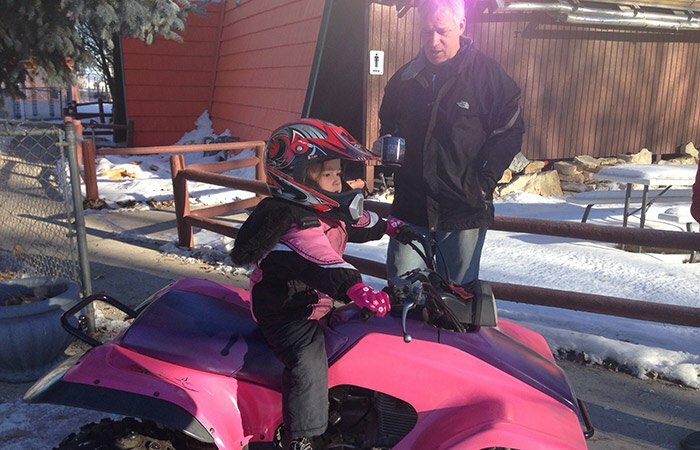 This is the PLACE for all ATV lovers, especially since Temple Hill Resort is located right at the base of one of the best OHV systems around. So camp right here at the park (parking available for ATV trailers) and then ride straight up the hills. You can purchase an Arapeen OHV Trail System map from http://www.utahatvtrails.org/ or from https://www.amazon.com/dp/B0716K5XH4 if you want to explore additional roads of adventure. 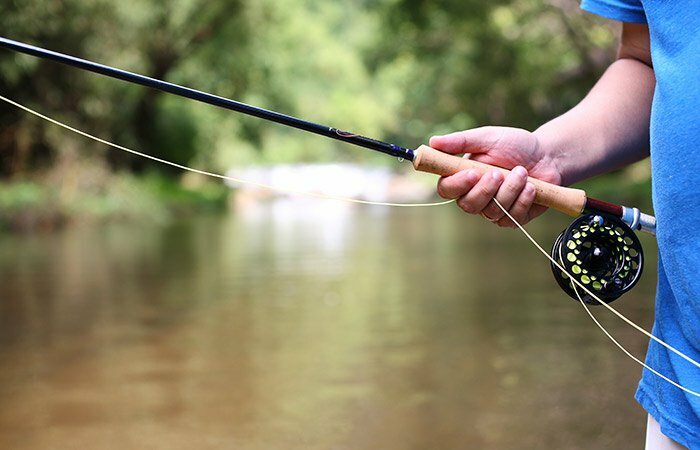 The mountains around Sanpete Valley offer some of the best fishing and hunting opportunities in Utah. Licenses can be purchased on-line from www.wildlife.utah.gov, where you will also find information regarding current conditions. Throughout this area, deer and elk thrive in the forested mountains, which creates great opportunities for wildlife viewing, photography, and hunting. With over 20 small natural and man-made lakes within minutes of the park, the Manti-La Sal National Forest is an ideal fishing destination. Also, Yuba Reservoir is just a short hop west and offers good fishing for perch and walleye. 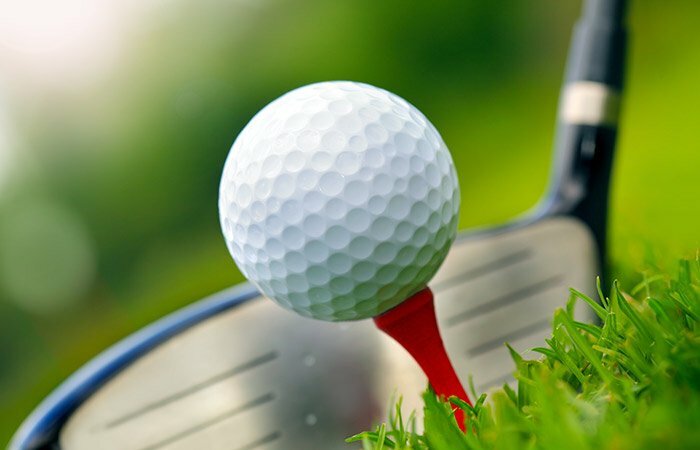 Within minutes of our resort, Palisades State Park offers a picturesque small lake, an 18-hole golf course, and some of the best putting greens in the state. It’s an excellent place to relax and get away from the regular routine of life. Skyline Mountain Resort Golf Course is also an 18-hole golf course and is open to the public with reservations. Since the Manti LDS Temple is the most prominent building in Sanpete Valley, what better place to stay and take in the most inspiring and glorious views than at Temple Hill Resort. The Temple’s structure blends Gothic Revival, French Renaissance Revival, and French Second Empire styles. The Temple is used for Mormon religious ceremonies like marriages, and each summer the Temple grounds are the site of the Mormon Miracle Pageant. Make sure to take a moment to catch the brilliant view of the temple at dusk and then again late in the evening; the Temple glow will most certainly add to the cherished memories you’ve built while staying at the park. 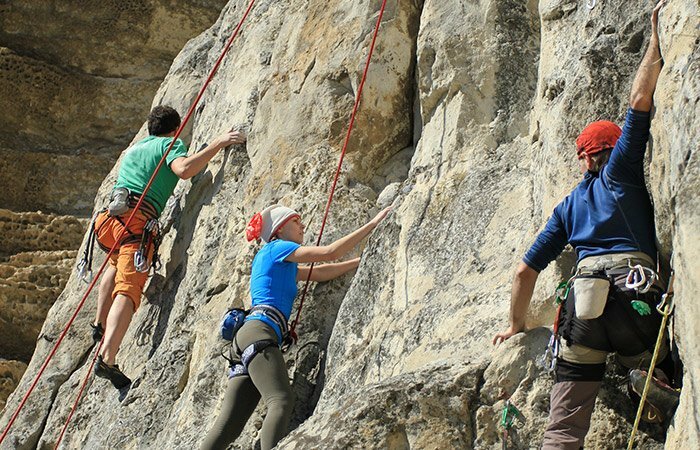 Climbers from all over the world come to the Sanpete Valley to challenge the cliffs of Maple Canyon. Every day, weather permitting, you’ll find climbers among the breath-taking crags. Rest assured that there is something for everyone in your traveling party. Not only do we offer some of the best opportunities for outdoor recreation, we are also centrally located to Salt Lake City, Grand Canyon, Bryce Canyon, or Zion National Park. Whether you just want to relax at the park or venture out into the valley, you’ll uncover great treasures in your new hidden paradise. Come see the pioneer dugout replica that honors the founders of Manti and Sanpete County who endured the harsh winter of 1849. Hwy 89 runs parallel to Interstate 15 and is located just over the mountains to the east. If you enjoy the countryside, you will love the landscape of the farming and ranching lifestyle left over from the Mormon pioneers. You’ll also find traces of famous outlaws, Native Americans, mining barons, Spanish priests and rugged trappers all who have left their mark along this historic path. Our community offers many ways for you to explore the natural and human history of this fascinating area. The Patton House is a historic home now maintained as a museum. It is open daily during the Mormon Miracle Pageant and by appointment during the year. The Fairview Museum of History and Art provides a wide range of exhibits from prehistoric animals, such as their life-size replica of a Colombian Mammoth, to artifacts of ancient man and pioneer times. The splendor of the Spring City pioneer-era homes is so impressive that the city was designated as a National Registry Historic District. 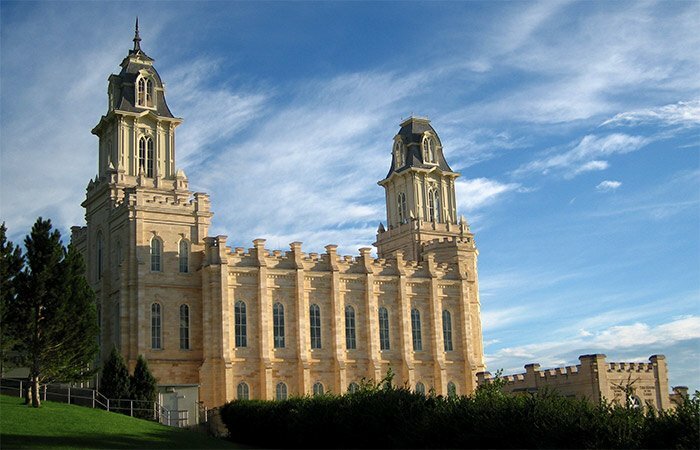 Also, the LDS Temple in Manti stands as a monument to the vision and dedication of the early settlers. 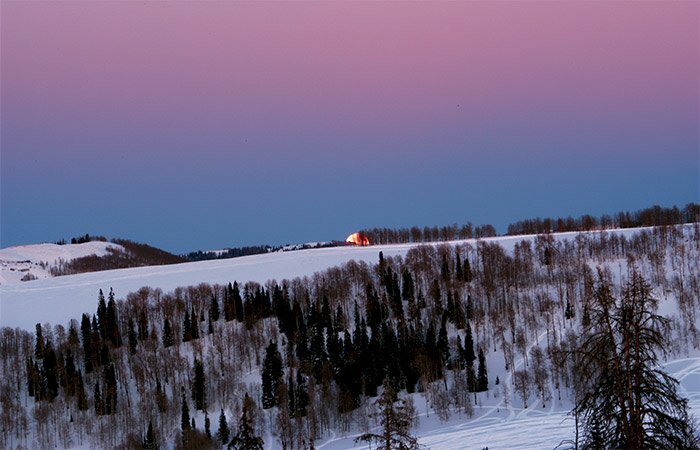 The Utah Adventure Highway across the Manti-La Sal National Forest is also known as Skyline Drive. This scenic backway winds for over 100 miles along the very top of the Wasatch Plateau and provides access to forested mountains, alpine meadows, and numerous lakes and streams. At elevations ranging from about 9,000 to 11,000 feet above sea level, it is one of the highest roads in America and views of the mountain basins and surrounding valleys are stunning.